I was so sure it could never happen to me. The freshman 15 had gotten me before. A new job had caused massive weight gain in the past, too. But now, I had put in the work and I knew how to maintain my healthy lifestyle. 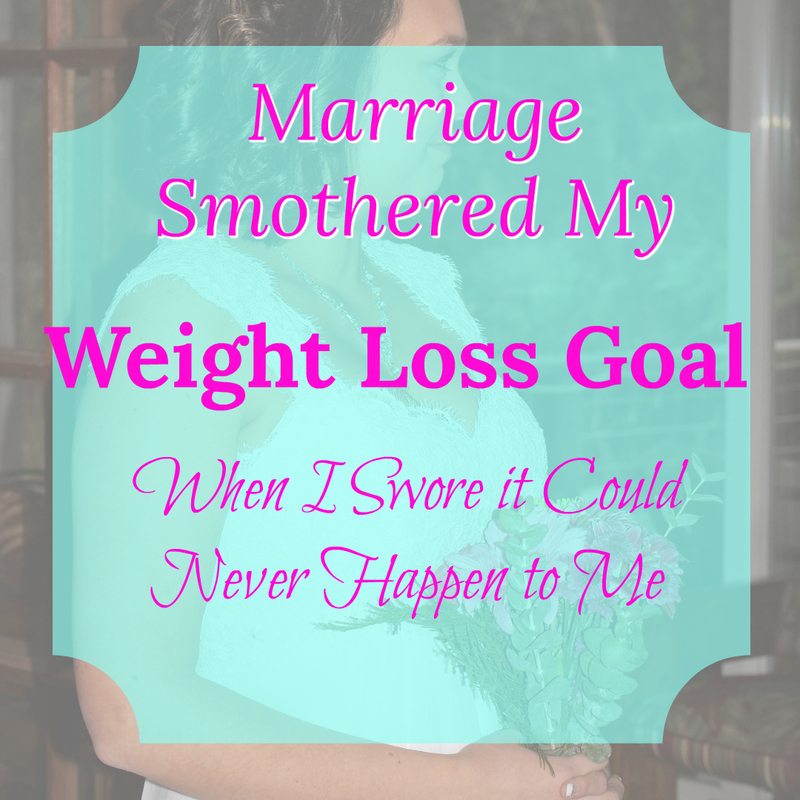 There was no way I would be the bride who packed on the pounds after getting married. There was just no way it could happen to me. No matter how well we prepare, huge life events are great at throwing us off course. When something giant is happening in your life (good or bad), it takes over everything. Hubs and I secretly eloped. So, I didn’t have to plan a huge wedding ceremony. But, I did have to plan the most important day of our lives alone. I spent the weeks leading up to our wedding day picking out my dress, ordering a small, custom cake, making arrangements for our marriage license, and coordinating plans with our officiant & witnesses. Oh yeah, and Christmas shopping. Because we decided to get married the day before Christmas Eve. After the wedding, though, was when things really got crazy. After the wedding, we needed to be sure we told the people closest to us in person, and everyone wanted to celebrate! It was a wonderful time in our lives, it just was really busy, too. The weeks following our wedding were full of individual celebrations with friends and family. For a couple of months, we were out every weekend for a meal or a drink or both. We had a lot of fun and everyone made us feel so special, important and loved. And my careful meal planning slowly started creeping out of the forefront of my mind. I didn’t need to plan weekend meals. Most of those were happening at restaurants. Soon, the meals out were moving in on weeknights, too. Thursday became an early start to the weekend and Monday was an extension. Celebrations are wonderful, but they shouldn’t be the norm. Before we were married, Hubs and I already spent most of our time together. We each still had our own separate homes, but we divided our time between the two houses, rather than spending time apart. We already cooked together, ate together, attended family events together and watched TV together before marriage. Hubs already knew about my early morning routines and my tendency to eat way too fast. By the time our wedding day came along, we had established a nice way of living our lives side by side. We really didn’t expect much to change. It’s funny how those vows can disrupt the status quo. Before, if one of us had to miss an event, it wasn’t a big deal. Now, people expect us to show up together, so we need to plan our schedules more carefully. If Hubs has a late night at work, he can’t just go stay the night at his house to avoid waking me. Marriage came with a small set of subtle changes to our routine. Those changes though, were just enough to shake things up and throw us off the healthy eating course. No matter how well we prepare, huge life events can still throw us off course with distractions, celebrations full of food & drink, and the struggle to settle into a new routine. Instead of allowing a life event to erase all your hard work and throw away your goals, try accepting a slow-down. It’s okay to slow your progress while you adjust to a change. It’s okay to be okay with re-working your goals to fit new needs. Don’t be too hard on yourself when things change. Change is the only constant in life. Thanks for the Link-Up, Ducks n’ a Row!